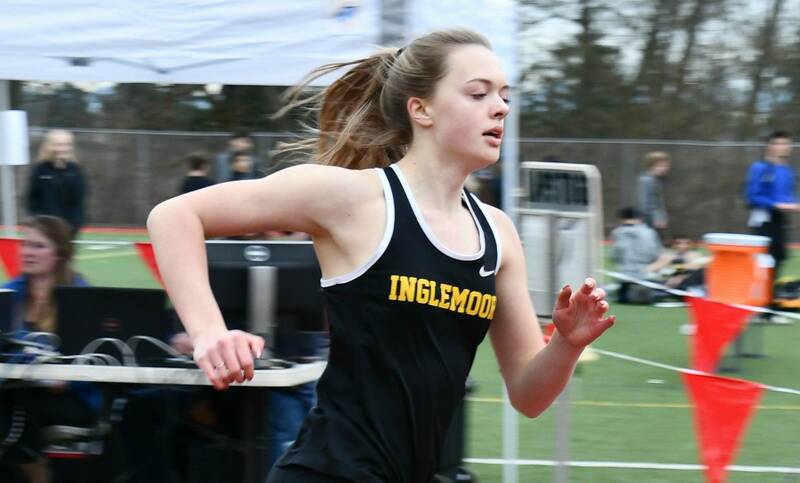 It’s taken two years, and lots of perseverance, and Inglemoor High senior captain Jenna Troy is glad to see the Vikings residing in a solid spot on the basketball court. The two-time 4A KingCo all-league first-team guard has helped lead her squad to a 10-3 league mark and 17-3 overall record as the girls enter the league playoffs. The Vikings finished second in the Crown Division during the regular season. On Friday, Eastlake (12-1) will host Inglemoor at 6:30 p.m., and the winner will face the Woodinville (12-1)/Newport (8-5) victor for the championship at 6 p.m. Saturday at Bellevue High. The top seven finishers in the double-elimination tournament will qualify for Wes-King tournament. Troy, who stands 5-foot-10 and is averaging about 15.5 points per game, will take her hoops game to Central Washington University next season, but there’s still work to be done with the Vikings. Tops on the Viks’ side is defense, team chemistry and they enjoy playing with each other. “(That) makes it easier to work hard because you’re playing for the person next to you and they’ve become some of my best friends on the team,” said Troy, adding that they’ve bought in to head coach Kristina Schumacher’s defensive philosophy and are seeing results. The fourth-year varsity player — whose game-high this season is 23 points against Woodinville — feels she’s become a more versatile player since her freshman year. Schumacher has helped her focus on defense to go along with her joy of running the floor and getting open layups for her teammates. Troy has tallied less points than last year, but that’s because her teammates are scoring more, something that she’s glad to witness. A few of those players are junior Lucy Young, KingCo second team and defensive player of the year; and league honorable mentions, freshman Colbi Zorich and sophomore Abby Haller. Troy feels she’s grown mentally as a player the last two years and has seen that she and her teammates can bounce back from adversity. They’re experiencing great times now and everyone is there for each other when the ball bounces into play. The Reporter asked Troy a series of questions for a behind-the-scenes glimpse into her life. Well, it would probably be a quote that I was given, “No rain, no flowers,” which I think is pretty important, especially in the last years (with Inglemoor) — if you don’t go through the hard times, you won’t get to see the results. I really like Wingdome, I go there with my friends a lot. I get the chicken tenders and their waffle fries are really good. I really like “Footloose” (the remake). My brother watches it all the time, so it’s kind of become my favorite movie. It we’re thinking basketball, probably Sue Bird ‘cause I just love how she plays. Her passes are really amazing and I just strive to be able to pass like that and get my teammates open. It’s really amazing to watch her play, ‘cause she’s getting up there in age, but she’s still dominating the league. It would be kind of cool to backflip. I have a lot of friends in gymnastics, so when they do it, it’s pretty cool to watch. It shows athleticism, so that would be cool to be able to do.